Random thought on Life, Judo Olympics, Judo Self Defense, The Art or Judo Kata, Judo An International Sport. Things that inspire or annoy me or things that I just had to write down. Do you like to Talk about your martial artists experience? Perhaps you are a martial artist and would like to share your knowledge. 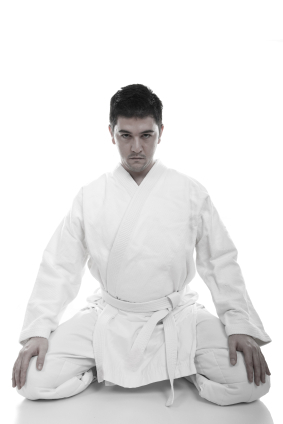 I am looking for Authors to contribute to the www.martialartsjudo.info Blog. I am always looking for new content. Please may I make that point clear, I am only looking for original content. Duplicate content hurts us both so please don't ask me to include it. I am however happy to accept short original 200 - 300 word summaries that link to the main article. You may feel free to add any of your pictures and links to the any article you write and you would get full acknowledgment. The number of links are limited however to two (2), otherwise the article becomes a little too busy for the reader. Links will be rel="no follow" at my discretion but that wont stop you from getting the traffic. Links are most likely to get a rel="follow"
It is relatively safe for me to do a "follow" link to anything that is community based information such community clubs etc. Wikipedia, informative or reference type material such as legal and medical material regarding particular laws; medical conditions or how to references (building, cleaning etc. ), are theoretically OK; even if they are on a commercial site. Links to things such as infografics are normally OK and can even go directly on my site and include a link to the originating site. Basically anything that will increase the authority of my site is fine to link to without google penalizing me. Links are most likely to get a rel="No follow"
Links to home pages that have no other information on them are problematic. It is important that it never looks like a link that someone might have paid me for even if they never have, as that defiantly will cop me a penalty from google. For example: Sales pages, even if they are in the form of a product review page will result in a rel="nofollow". There is no way for Google to interpret them as anything other than paid links. The links need to mean what they say. I Do Not like unnatural and deceptive links. Whilst I don't mind a link going to your sales page provided it meets the above conditions but it has to be natural and relevant to the content. For Example: please don't send me an article that appears to have a link to more information about Judo when it in fact goes to a sales page for Martial arts uniforms. Please avoid being blatantly commercial. The idea is to add value to my blog and the community that follow me. I would also ask that you be sensitive to my own product range which is clearly listed in the navigation of this blog. I think competition is great but please don't expect me to willingly link to products that compete directly with me. Feel free to write about any relevant subject you like and if you would like to write but need a subject ideas, I can usually help. Contributing is easy. Simply submit your article to "richard@martialartsjudo.com" with the subject heading "Suggested Martial Arts Article". All articles are reviewed by me personally and I will let you know if your article has been accepted or rejected. So lets hear from you. Obi Tori Gaeshi, Sumi Gaeshi: Variant or Different Judo Throw? Hikikomi-gaeshi & Sumi-gaeshi: Are They Different Judo Throws? Roper Enterprises. Simple theme. Powered by Blogger.